‘In territorio nemico. Romanzo’. Can you introduce us to the novel and its plot? 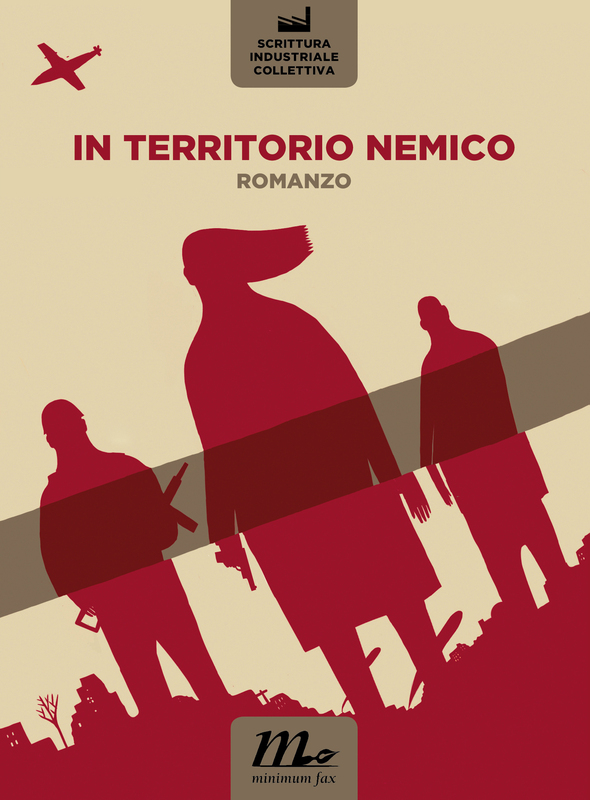 In territorio nemico (In enemy territory) is a historical novel set in Italy during World War II and the German occupation of Italian soil that lasted twenty months, between 8th September 1943 (the day of the ‘Armistice’ between Italy and the Allied forces) and 25th April 1945, the so called Giorno della Liberazione (Liberation Day). All the while, the population suffered continued aerial bombings, severe famine, violence and abuses not only by the occupying forces but also by Italian collaborationists gathered under the banner of a puppet Fascist state in the north of Italy, the Repubblica di Salò. The novel tells the story of a family divided by war: a young Navy Officer stranded in Naples after the capitulation; his sister, alone and afraid in a gloomy Milan of bombings and curfews; her husband, even more terrified, who abandons her to seek shelter in a lonely farm near the banks of the Po river, where soldiers and bombs won’t bother him, but where he will have to face his own anguishes and remorse. Three parallel storylines whose common trait is the theme of ‘resistance’ to war, in different forms: armed and moral resistance against Nazism and Fascism, represented by the Partisan war, but also a more subtle form resistance of the weak, through escape and negation of reality. What is the ‘Scrittura Industriale Collettiva’. Why ‘industriale’? ‘SIC’ is a method for collective production of fictional works of any length, form short stories to epic novels. SIC is also used to refer to the community of writers that employ the method. The method is flexible enough to accommodate any amount of people, from four up to hundreds. ‘Industrial’ is a reference to the main principle of the method, that is, division of work: division into roles, since writers do not select material, while those who select material do not write; division into parts, since the fictional world is outlined in high detail in every character, setting and scene even before a single word of the story itself is written; and division of production time, since the whole work is planned week by week, delivery by delivery, from the very beginning. With SIC, every writer is a voluntary labourer who knows that the rules of the game are necessary to achieve the result. ‘Industrial’ also has a mock meaning: it’s a sort of provocation against those who believe that writing is a purely individual form of art or expression, stemming from some sort of purely subjective source of inspiration that cannot even be properly described. People with this sort of romantic point of view are horrified by the association of writing with anything so organized and unpoetic as the industry, so to protect them by ensuring that they wouldn’t get too close to something so ugly we put the word directly in the name of our project. Why does this method work, and what are its pros and cons? It works because it was built to circumvent recurring problems and hurdles that afflict collective writing groups. First, the subjective nature of aesthetic judgement makes discussion about what is good or bad in my text in comparison with your text often preconceived, and therefore sterile. Every child is beautiful in its mother’s eyes, one could say. We propose a radical solution to the problem: when writing with the SIC method, nothing is ever discussed. Writers make their proposals, and the composers (this is the name that we gave to people that select and mix the writers’ material) mix, cut, sew, reword and collage their texts without ever having to justify their choices. The second problem is less psychological than cultural. Collective writing has mostly been seen as diversion into a playful form of writing that is amusing exactly to the extent that it is believed to be unfit for producing anything artistically serious. Thus even motivated groups often fail to get the work done because they don’t see the need to organise themselves in a productive way, which is kind of absurd, when you just think of the level of tactical preparedness that team sports require – and sports are less complex than art, right? We respond to this with organisation, differentiation and processes… which leads us to consider possible cons of our method: it takes a lot of time and effort to use it. It’s very inefficient, because it ensures quality through quantity: every page of the final product takes dozens of preparatory pages. Even if we try to ‘recycle’ as much as possible, in the end less than 10% of what is written makes it into the final draft. This may be seen as a waste, but until the unlikely event that someone devises a formula for beautiful writing, we don’t see many alternatives. Apart from being a collective novel, In territorio nemico is a very good novel. How difficult is it to maintain a high quality with more than a hundred contributors? Thank you. It was a monstrous effort that took three years, during which the morale of our ‘troops’ had to be kept high at all times. There was no space for faltering, since even a brief pause or delay risked discouraging the participants, and the novel would have been disastrously left unfinished. Since we were the leaders, we had to be a constant example of commitment to the cause. Emails with the results of the work of the ‘general staff’ could pop up at any hour of the day or of the night; we even put an inspirational quote at the beginning of every communication. Writers loved this level of dedication, and responded accordingly. How was the book received by the critics? What is collective writing for you? What is its future? Collective writing is a form of art on its own right. It’s different from individual writing in many ways that we don’t fully comprehend yet. Just as an example: when reading a book, we are used to asking ourselves ‘what does the author mean here?’. If there is no author – not in the sense that the author is unknown, but in a more disconcerting sense, that the book was written in a way that does not imply the existence of an author – what is the sense of such a question? Could the book mean something on its own? These kinds of questions that arise from collective writing are very thrilling and could be the seeds for new and potentially fertile fields of research, both artistic and critical. We hope that collective writing becomes more widely employed as a legitimate way to write fiction. Many bestsellers are written by groups of ghost writers already, but their work is not recognised, when it’s not outright concealed, because the author is a trademark that drives sales, even when he hasn’t written or conceived a single line of the book that he signs. The writers get paid a little, and the ‘author’ gets paid a lot, plus the glory. This is hypocritical and can work only thanks to the diffused preconception of art as the product of individual genius that we mentioned before. With In territorio nemico we wanted to prove that collective writing can produce good fiction, and we wanted to do it openly, without hiding the ‘inner workings’ of our system of writing. If we contributed even a little to giving legitimacy to collective writing amongst the arts, we can consider ourselves satisfied. Vanni Santoni (1978) is co-founder and coordinator of In territorio nemico. He has published, amongst other works, Gli interessi in comune (Feltrinelli 2008), Se fossi fuoco arderei Firenze (Laterza 2011), Terra ignota (Mondadori 2013). His short stories and articles are published on prominent Italian newspapers and literary blogs. He writes on the Corriere Fiorentino and on La Lettura. Gregorio Magini (1980) is co-founder and coordinator of In territorio nemico. He lives in Florence, where he works as a web developer. He has published the novel La famiglia di pietra (Round Robin, 2010), and many of his short stories have been published on the journals Mostro and Collettivomensa, on online platforms such as Nazione Indiana, minima & moralia and Scrittori Precari, and in some anthologies. SIC – Scrittura Industriale Collettiva (2007) is a project and a method of collective writing created by Vanni Santoni and Gregorio Magini. It has written six short stories and a novel, In territorio nemico, featuring the highest number of authors ever, in addition to man short stories and unofficial articles. This entry was posted on October 3, 2016 by readingitaly in Memory.